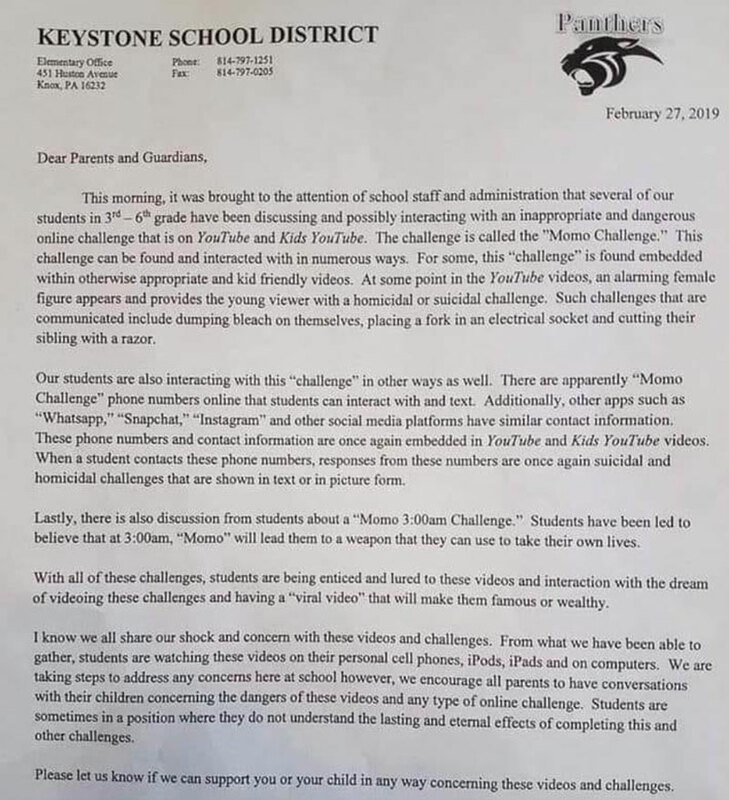 VENANGO CO., Pa. (EYT) – Concerns about the “Momo Challenge” have been spreading online, and schools and organizations in our region are reaching out to warn parents. “Momo” and the “Momo Challenge” have been major topics of conversation recently online across the nation. 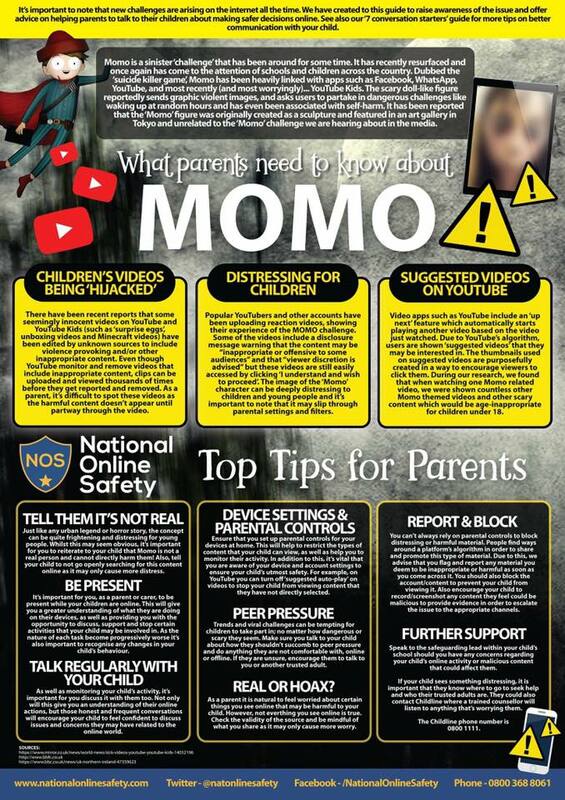 According to National Online Safety, a website that provides Continuing Professional Development accredited courses and educational resources to educate the school community in Online Safety, Momo is a sinister “challenge” that has been around for some time on the internet and has recently resurfaced. 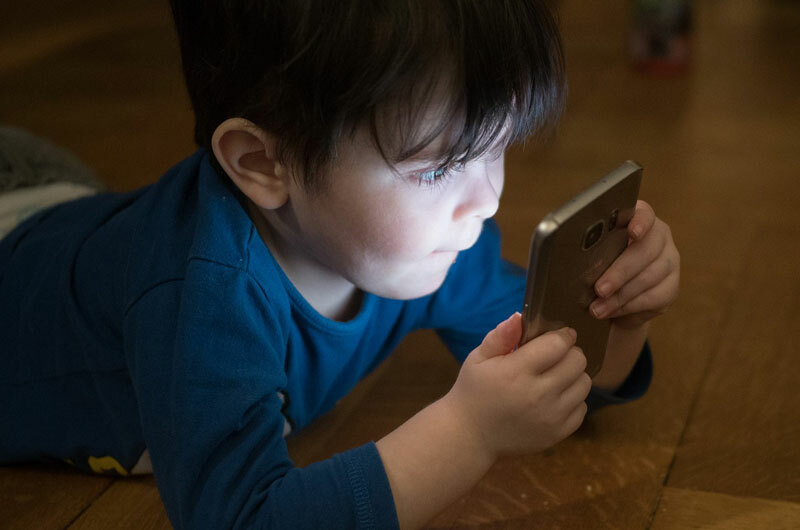 Sometimes referred to as a “suicide game,” Momo is often linked to apps ranging from Facebook and WhatsApp to YouTube and even YouTube Kids, which is supposed to have only child-friendly content. Reports vary to some degree, but most agree that the frightening doll-like figure known as Momo allegedly urges children to participate in dangerous “challenges.” These challenges reportedly range from somewhat less dangerous behaviors, like waking up at odd hours, to more disturbing behaviors, including self-harm. “It’s scary the way they’re targeting children with this,” Clarion-Limestone Superintendent Amy Glasl told exploreClarion.com. Glasl is one of many school administrators in the area who has spoken to parents and students. Glasl said she also plans to include related information in her weekly message to the community. Like Glasl, many other administrators in our region are concerned and approaching this issue with parents and families. Valley Grove Superintendent Kevin Briggs explained that his district posted some resources for parents on their Facebook pages. While some districts, such as Keystone and Punxsutawney, have sent letters home with students, others, including Clarion Area and Valley Grove, have posted information on their Facebook pages or district websites. Some schools have opted to use a combination of methods to make sure parents are getting the information. “We are notifying the parents of high school student by email, and we’ve placed a memo on the district website and our Facebook account. That info also being conveyed to the parents of elementary students via a memo. We’re really just trying to educate parents as best as we can,” explained Redbank Valley Superintendent John Masillo. Franklin Area School District also reached out to parents in multiple ways, posting a warning from Superindentent Pamela Dye on their Facebook page, as well as sending the same message out to parents through their phone system. Keystone and Franklin School districts have drafted their own messages to parents, while others, including Redbank Valley, Valley Grove, and Clarion Area, are sharing a “Top Tips for Parents” flyer produced by National Online Safety. It offers a number tips, including advice on the use of device settings and parental controls and also reminders for parents to talk regularly with children, be present while they are online, and stress to children that Momo is not real. Although area school districts are the primary agencies reaching out to families regarding the Momo Challenge, they aren’t the only organizations facing concerns about it. According to Valerie Snyder, Senior Manager for the Center for Community Resources in Clarion, their organization has already been approached by one local school district seeking advice. “Our advice, like the advice all over the internet, is that parents need to have discussions about these things with children and monitor their social media,” Snyder said. Mary Brown, Coordinator and Behavioral Health Program Specialist for Community Connections of Clearfield Jefferson Counties, noted that while they haven’t been approached directly, she would offer the same advice in this case as she would regarding general Internet issues. “Be vigilant about what children are watching,” advised Brown. Making parents aware of the potential hazards of their children using internet-based applications is a good step forward in establishing a clear communication line between the parent and the child, and basically, encouraging parents to take control over what their children are doing on the Internet. That being said, as it turns out, there are questions about whether or not the Momo Challenge scare is anything more than a hoax. Nevertheless, whether or not the Momo Challenge is a direct threat to kids, one thing the reports do highlight is how quickly something dangerous could spread via the internet, and how important it is to educate children on how to handle those dangers issues.